I’ve never done a fun run that actually felt like it was for fun. I inevitably lose sight of the charity or cause I’m running in support of as I’m drawn instead into racing those around me, competition taking over as we toe the starting line. That’s why my experience in the Cycling 4 Veterans (C4V) bicycle ride through the hills of Livermore had such an impact on me; it remained a ride, and I, a cyclist for the cause. 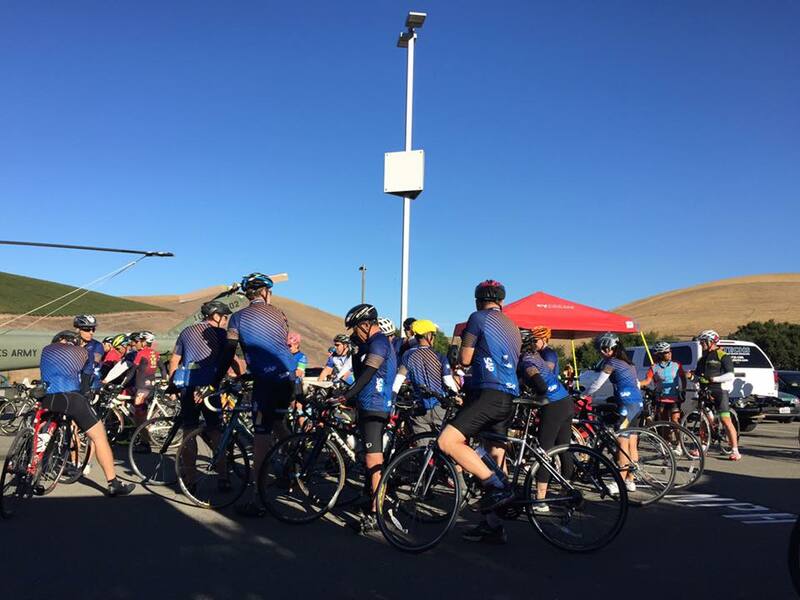 The second annual ride in support of veterans and active military personnel was my first with the SAPsv cycling club. The October 8th event was only my second organized ride ever after a long career of running events. Beyond the obvious transition from two feet to two wheels, contrasts with my running experiences throughout the day kept my focus on supporting the veterans, engaging with the community of cyclists around me and simply enjoying the ride. As I arrived to check in, any expectations I had were immediately challenged. This was something new. 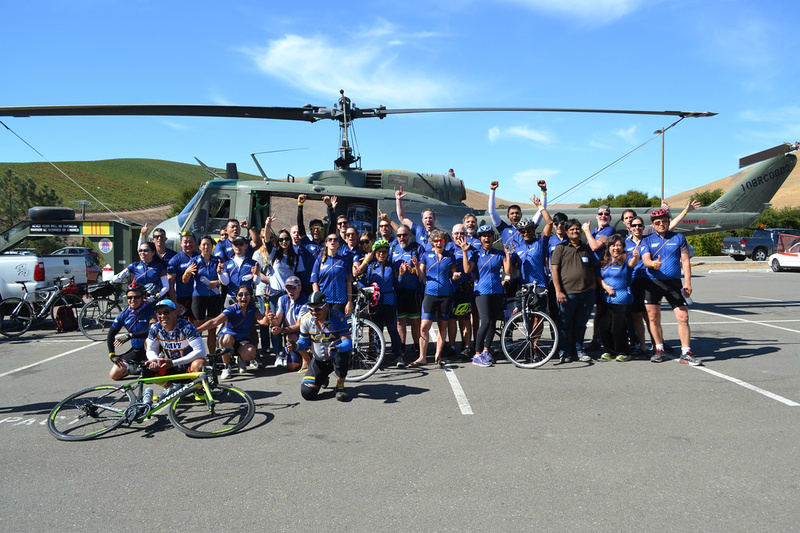 Rather than cyclists warming up, preparing individually for their ride, the registration and starting area featured riders engaged in conversations with veterans and taking selfies with the huey helicopter. Meeting some of the 70+ Team SAPsv members from across each of the bay area campuses gave the whole thing a beer bash feeling, just with more spandex. In addition to the usual course overview, the pre-ride announcements included advice and inspiration from four-time national road race champion Freddie Rodriguez. He even invited us to ride next to him if we had any questions about training, diet, or his experiences cycling professionally. When motorcycle engines from the Warriors’ Watch fired up to lead the way to the start of the course, nobody was lined up to race off. In the group that meandered toward to starting line, there was no hierarchy of fast riders in the front or slower toward the back, but an organic mix of talent and experience as the discussions continued uninterrupted onto the course. The first thing I noticed as the ride began was…everything. I’m typically so absorbed by my running form, the competition and the pace on my watch that I don’t register much of anything else. The beauty of the yellowed hills against a cloudless blue sky, the warmth of the sun held at bay by a gentle breeze; these were the things that consumed me during the quiet moments. The sense of camaraderie from our shared purpose (and struggle) persisted throughout the course. Conversations that sprung up where the road was wide enough to ride abreast would quiet where we’d narrow to single file, only to resurface again during stop lights. The words of encouragement shared in these exchanges provided much needed motivation during the more difficult parts of the ride. The aid station was a welcome sight at the top of the course’s longest climb, offering respite from the heat and bike seat. Over banana bread and peanut butter and jelly sandwich halves, cyclists exchanged stories from their rides, finding little reason to leave the oasis. There was no giant clock at the finish indicating how long it had taken me. 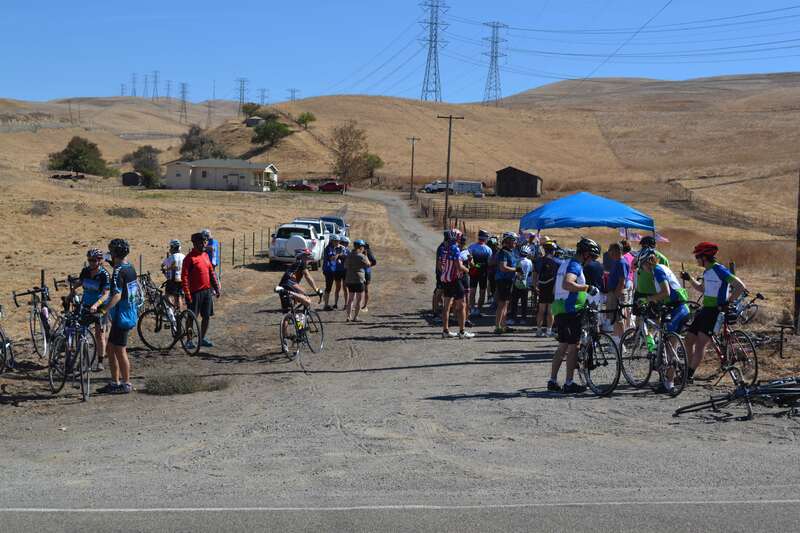 Instead I was greeted by the honk of a horn from Team SAPsv coordinator Diane Nguyen, announcing the arrival of another rider to cheers across the finish area. Over celebratory beers, I met some participants who picked up cycling and trained for weeks, just for this 30-mile ride. Others made the decision that morning between the 50 and 115 mile courses. I was amazed at the breadth of opportunity the event presented – from a milestone achievement to a good day of exercise. It wasn’t the most exhausted I’ve ever been. I didn’t set any personal bests. But I left the experience extremely fulfilled, thankful for the veterans and their service and proud of SAP for sponsoring such an impactful event. Eloquently written and and inspiring recap of the day! I appreciate the chance to live vicariously through your experience at Cycling 4 Veterans, Matt. Happy you could join Team SAPsv this year! Love this! I had the opposite experience, going to a run and wondering where the lunch food was. LOL. Thanks for sharing!